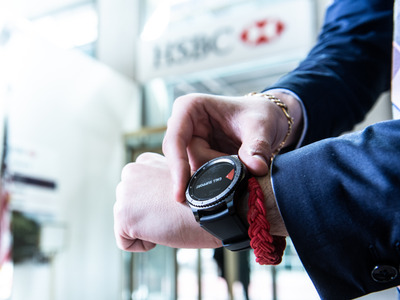 HSBC/SamsungHSBC and Samsung have partnered on a program to bring wearable technology into bank branches. HSBC worked closely with Samsung to customise the software powering the Gear S3. 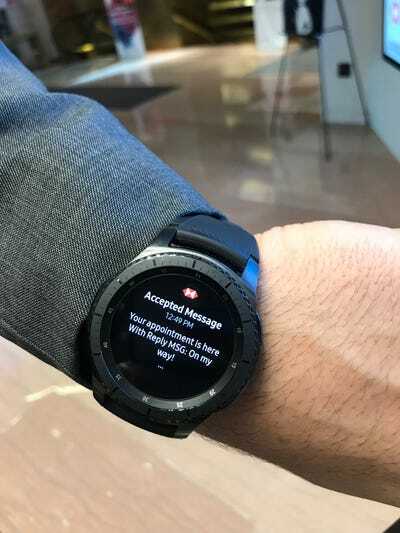 The devices have preset prompts and replies, making communication as simple as the press of a button. 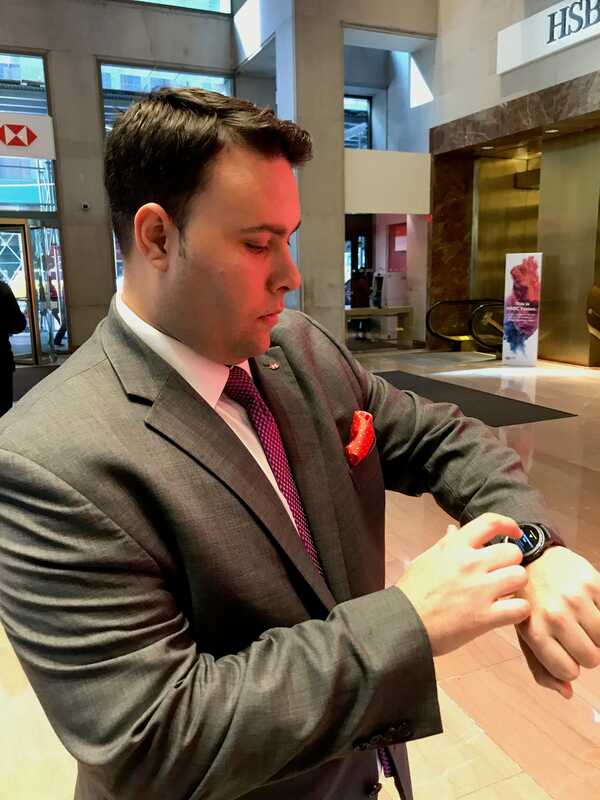 Dakin CampbellA banker looks at his company-issued watch. 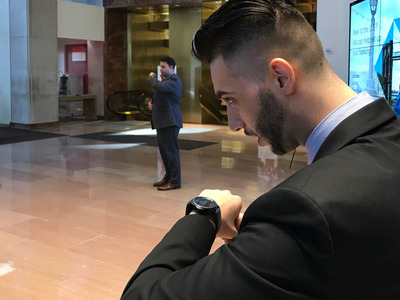 Dakin CampbellA message tells a banker when a customer is asking for him. The watches use Verizon’s LTE network. Balkin said the bank hasn’t suffered any dead zones or signal outages since beginning the pilot several weeks ago, even though employees’ mobile phones occasionally don’t work. Dakin CampbellEmployees can come out from behind the desk without worrying about missing a message. The idiosyncrasies of HSBC’s branch challenged the traditional branch model: the space spans three floors, including a basement level, making it difficult for employees to keep track of each other or respond to a call to help a client who has just shown up for a meeting. HSBC/SamsungBankers can send or accept messages with the push of a button. 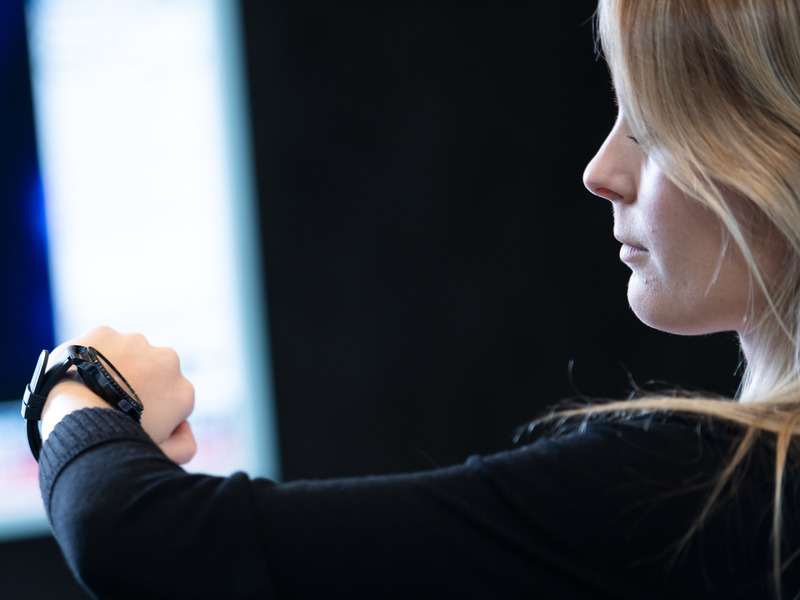 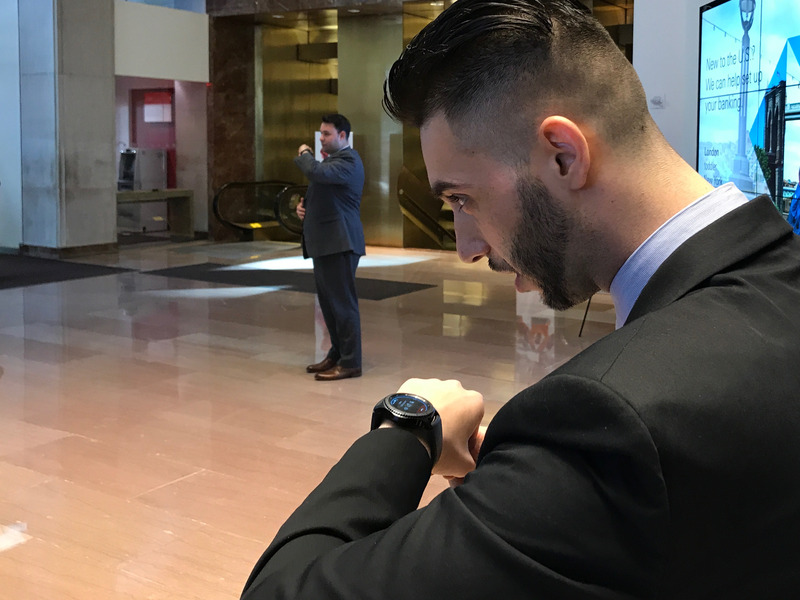 HSBC/SamsungAn employee looks at her Samsung Gear S3 watch. 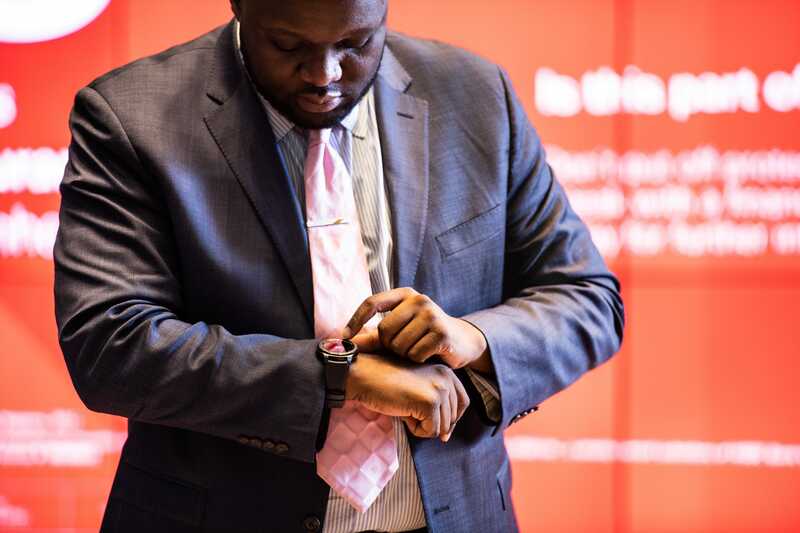 “Technology is a physical representation of our investment in our employees,” Balkin said. 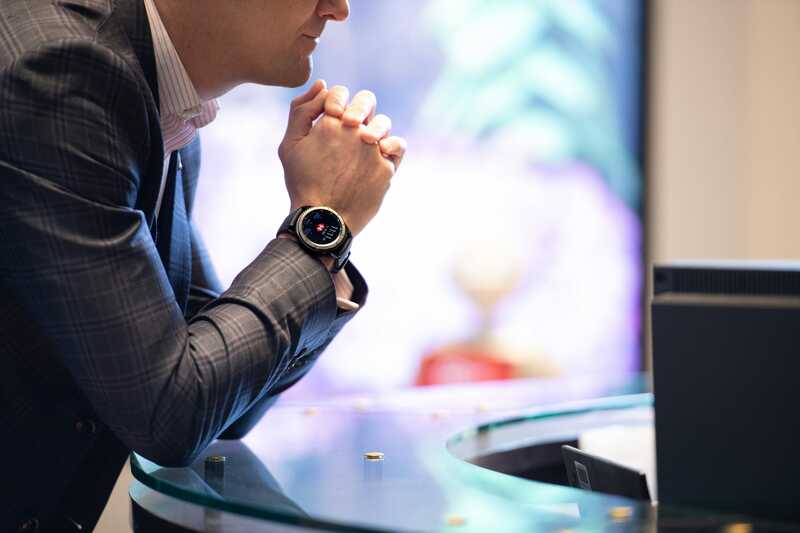 HSBC/SamsungThe watches are hard not to notice. 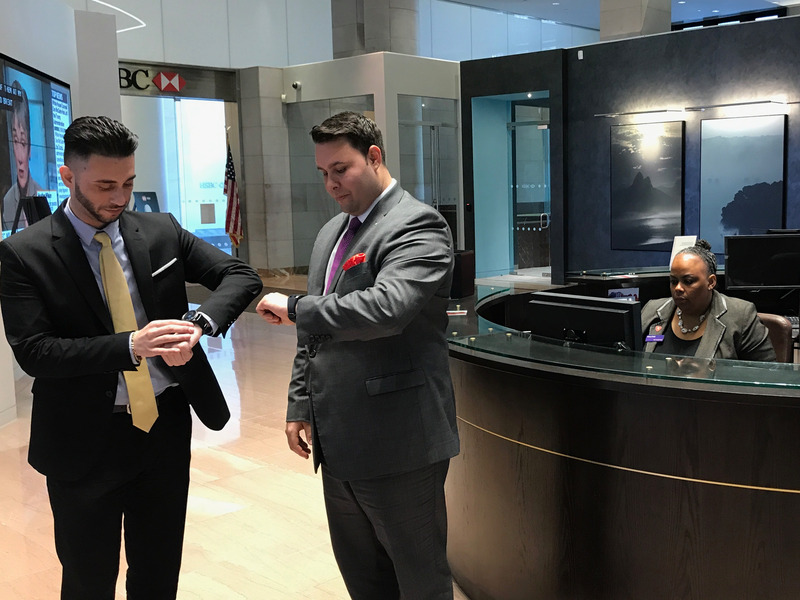 The pilot is part of about $US130 million HSBC is spending to transform its US retail banking footprint. 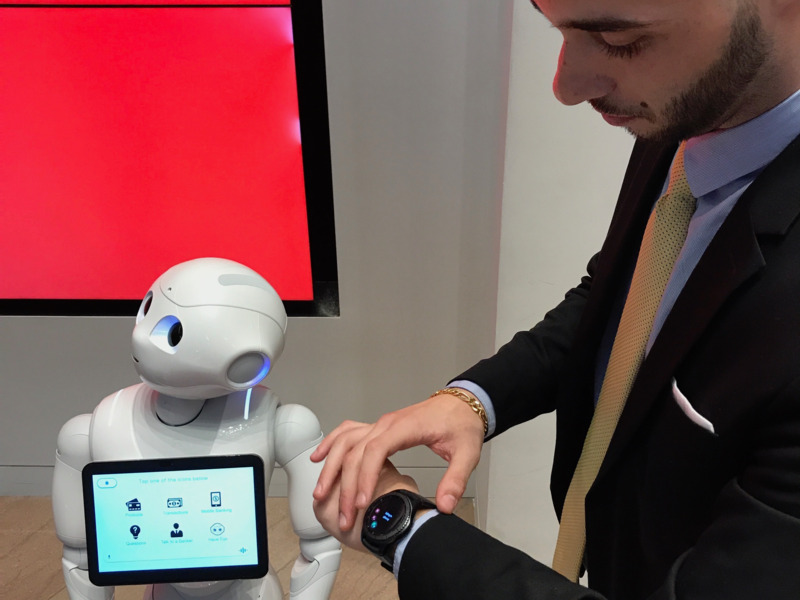 Dakin CampbellA banker stands in front of Pepper the robot.